We are exploring the life of this incredible man and his classic work on fostering authentic Christian Community. Martyred by the Gestapo near the end of World War II for plotting to assassinate Hitler, Bonhoeffer left a legacy of writings that has become a prized testimony of faith and courage for Christians around the world. 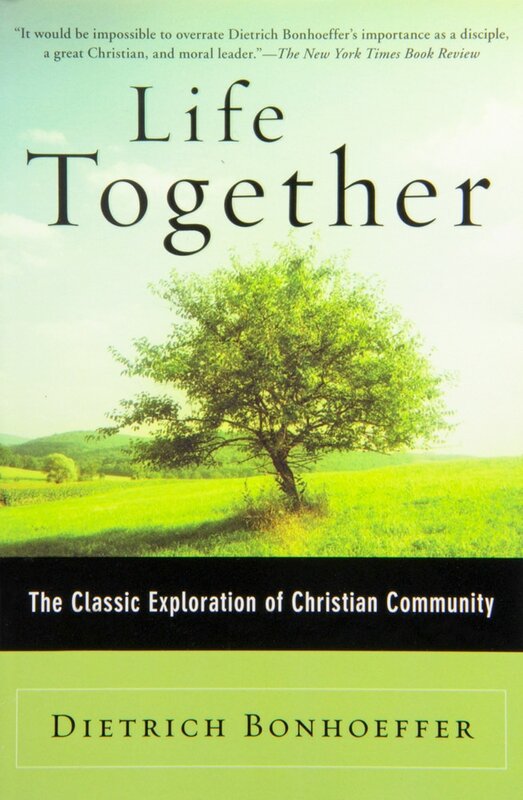 Life Together is Bonhoeffer's inspiring account of a unique fellowship in an underground seminary during the Nazi years in Germany. It reads like one of Paul's letters, giving practical advice on how life together in Christ can be sustained in families and groups. The role of personal prayer, worship in common, everyday work, and Christian service is illuminating and inspiring. Life Together is bread for all who are hungry for the real life of Christian fellowship.